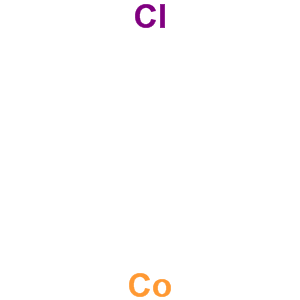 Cobalt Chloride Suppliers, Cobalt Chloride Manufacturers. PROPERTY:red odd inclined crystal,becomes blue when heated and becomesred when cooled.rimed between 30 to 35 centigrade and begin airslake anderrode.When heated between 45 to 50 centigrade for four hours,it almost turn into CoCl24H2O,all watered losed between 110 to 120 centigradeand becomes blue. USE:agent drying oil paint;cobalt paint;glaze;color China;additive of alkalescent accumulator,plate and so on.absorbefacient to ammonia.cover against toxic gas.indicator for dryand damp.plate,barometer,colorant forporcenlain,activator,medication reagent and so on.